A true pioneer in the sci-fi genre, 2016 Funko Pop Aliens Movie vinyl figures pay tribute to the 1980s classic with a few options. 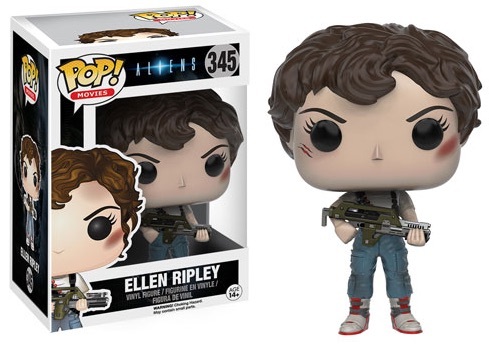 This includes Ellen Ripley and the Alien Queen. The sequel to Alien (1979), the 1986 follow-up film tracks Ellen Ripley (Sigourney Weaver) as she heads back to the hostile planet with more firepower. Directed and written by James Cameron, it is considered by many to be one of the key science-fiction movies of all-time and a worthy successor to the original movie from Ridley Scott. View the Ultimate Funko Pop Alien figures guide. Although the Funko Pop Aliens lineup is small, it makes for that in size. Literally. 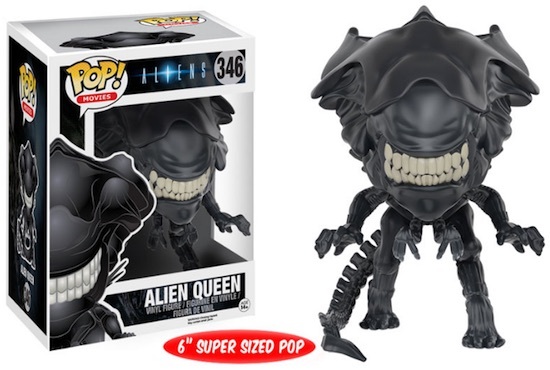 The intimidating Alien Queen seems even scarier at the Super Sized Pop proportions of six inches. 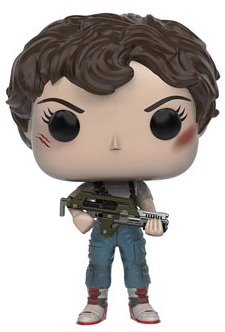 Ripley comes a little beat-up but ready for battle with her weapon in hand. The 2016 Funko Pop Aliens Movie vinyl figures are numbered as part of the larger Pop! Movies line. 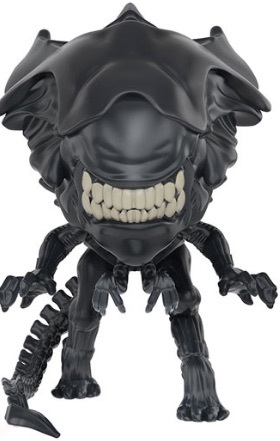 Although the Alien Queen is bigger than normal, the Ripley figure is the standard Pop! size of approximately 3 3/4". Other films in Alien franchise have Pop! figures, as well, and can be seen in our detailed gallery. Card collectors can check out 2016 Upper Deck Alien Anthology for a cardboard look at the franchise. The release also features autographs for many of the key actors, including Sigourney Weaver. Alien Covenant Creature Pack NEW!